A Movement Choir is a powerful way to divinely connect, rejoice, give thanks, pray. 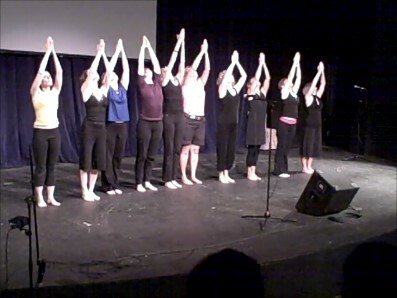 Learn simple, joyous, and inspiring movement piece(s) in a supportive atmosphere. Each movement piece is quasi-choreographed: easy-to-learn structured movements in a solo, partner or group format combined with a range of opportunities to infuse your creativity. Strengthen the connection to your body, free your mind, and express your spirit in this powerful community building experience. Available for groups, communities, and events.